* Sticker: Add an animated gif to a static photo or add a static photo to an animated gif. * Add styled text to a gif, control its timing, size, style, color and position. * Crop an existing gif to different size, only keep what you want. * Concatenate multiple gifs as one long animation, or extract a portion of animated gif. * Video to GIF, convert maximum 8 seconds video clip into gif with maximum sampling rate 10fps. 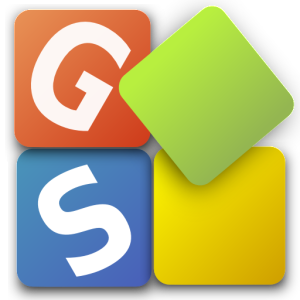 Our goal is to make GIF Studio your first choice to create, play and edit animations. We hide the technical complexities from our app’s simple user interface. Adding styled texts over GIFs to make an animated greeting card in a few clicks. Like many other Gif Apps, it also can make Gifs using the camera or make animated GIFs from photos. It is a good Gif player, users can adjust its playing speed using sliding gestures. You can easily edit current gif. If you are interested in the images in a gif, it helps you extract and save them automatically. Saving and sharing are just in a few clicks away to keep you connected to your friends. You can easily share animated GIFs with Google Plus, Twitter, Micro-Blog and Wechat. Please send your questions to GIF Studio – frequently asked questions (FAQ) so we can make GIF Studio a better app together. Developer’s recommendation: New “Sticker” function! add an animated gif (sticker, emoticon) to a static picture or add a picture(sticker, emotion, watermark, your profile photo) to an animated gif. Personalizing and give your photo/gif an identity, positioning and scaling the image/gif. Add styled texts over a gif or other image formats. Double click the added text to modify it again. Set its style, size, color and position. Add customized fonts by copying .ttf files into “/sdcard/Picture/GifStudio/ttf/” folder. Controlling the timing of a text to create animations. Crop/Cut GIFs to different rectangular shapes. Create an animated banner from a GIF. Able to view the animation with different speeds. Frame extractor, extract and save the images into /Pictures/GifStudio/photos/ folder automatically. Create animated gifs using existing photos or recording using device’s camera. Support external storage. Access file from external storage directly. Update media store after creating the gif, so “Gallery” or other apps can detect the newly added gifs. GIF Studio Beta Version is on Google Play. Click here for more detailed information and join our beta testing group.